After the World Trade Center was attacked on September 11, 2001, steel beams recovered from Ground Zero were shipped across the country to stand as solemn reminders of the events that occurred that day, and as memorials for those who lost their lives in the attacks. 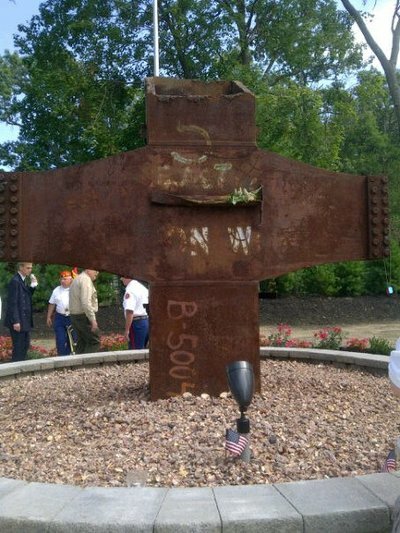 Over 80 steel beam memorial sites can be found on Long Island at schools, parks, fire departments, and other religious and civic groups. They are listed as National Memorial Sites, and are meant to be peaceful places for remembrance and reflection. Each year, many of these locations host annual 9/11 memorial events. Steel beams from the World Trade Center can neither be bought nor sold. The steel beams used at these memorials are historically protected, and were donated to various groups which agreed to construct appropriate memorials. Having these special sites allows for people to honor those who passed away and the first responders who risked their lives within their communities without having to travel to the city.